This openwork wing charm symbolizes hope and faith. 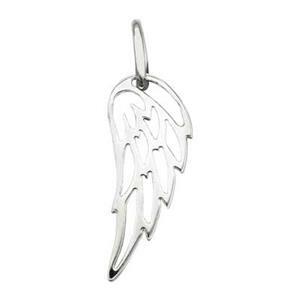 It can be interpreted as an angel wing charm or a bird wing charm. It looks great on its own or as part of charm clusters. Check out our complete collection of silver jewelry charms.